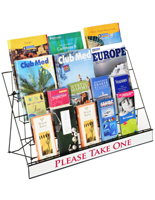 The Literature Organizer is Able to Present Many Selections From CDs to Brochures. The Wire Holder is Sturdy and Will Last for Years. 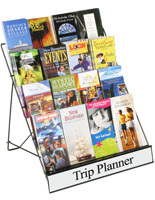 The Literature Organizer is Perfect for Cash Wraps and Other Retail Displays. Brochure Arranger comes with a built-in message channel. Ideal countertop stand for many settings! Made of long-lasting, welded wire. 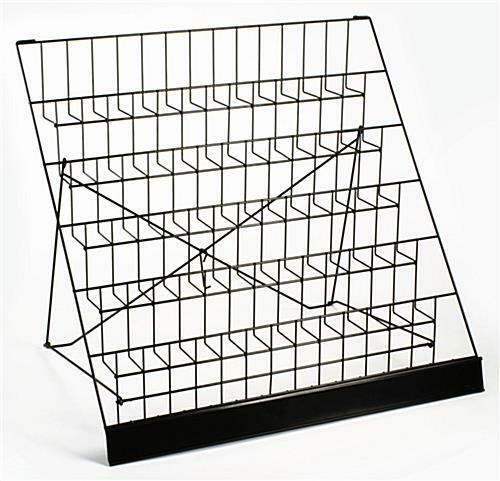 The wire rack, literature organizer promotes and organizes your booklets and magazines. 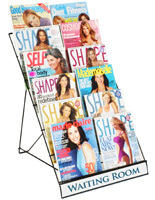 Tall at 24", the countertop rack increases visibility of offerings to clients. This literature organizer that is 6 levels has open shelves with pockets that are 1-1 2" deep. 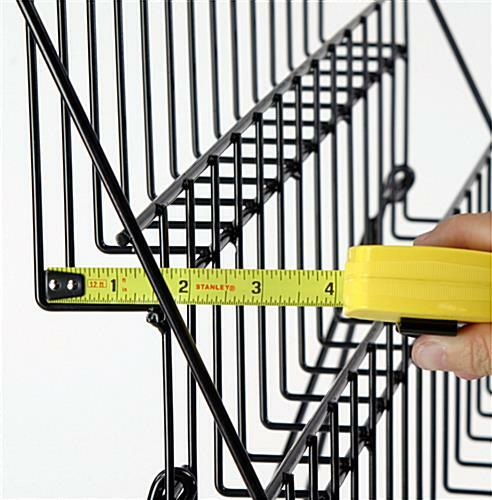 The wire holder is constructed of strong and long-lasting wire. 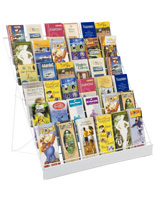 The literature organizer that is portable offers simple warehousing. This countertop display can also be moved to a new location if customer traffic flows somewhere else. 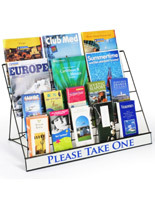 The literature organizer exhibits a built-in signboard. 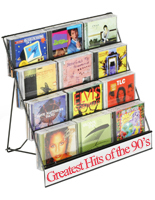 The sign holder increases merchandise and ad visibility. 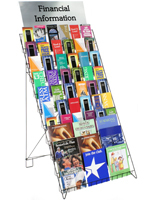 The literature organizer, called a wire stand, has a signboard slot that accommodates any signs measuring 29" wide x 2-1 2" high. Please note we do not supply the custom message for the space. 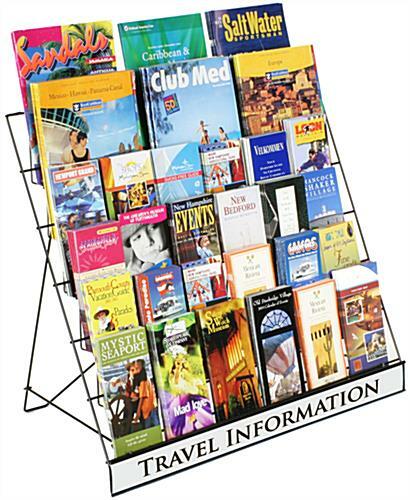 The pamphlet rack, literature holder pictures a sign, "Travel Information," as a sample of what your published insert could show. 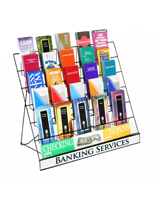 These countertop stands are perfect for tradeshows, gift shops, college book suppliers, and convenient stores.